Patricia Marie Moorman was born October 28, 1938 to Ruby and Everett Dobson. She passed away July 24, 2016 at her home near Durham, Oklahoma at the age of 77 years, 8 months and 26 days. Patti was raised as a young girl south of Progress School between Coyle and Perkins, Oklahoma, which she attended through the 3rd grade. The family later moved and she attended Coyle School, graduating from high school in 1956. She was married to Donald A. Moorman at Coyle, Oklahoma on December 4, 1956. They lived in the Wichita, Kansas area for a time until moving to Stillwater, Oklahoma. Eventually, they moved to Reydon, OK in 1960 where she was involved with the family business, Dobson Telephone Company. Patti continued her education in 1971 at Sayre Junior College and then Southwestern State Oklahoma University in Weatherford where she received her Doctor of Pharmacy Degree. 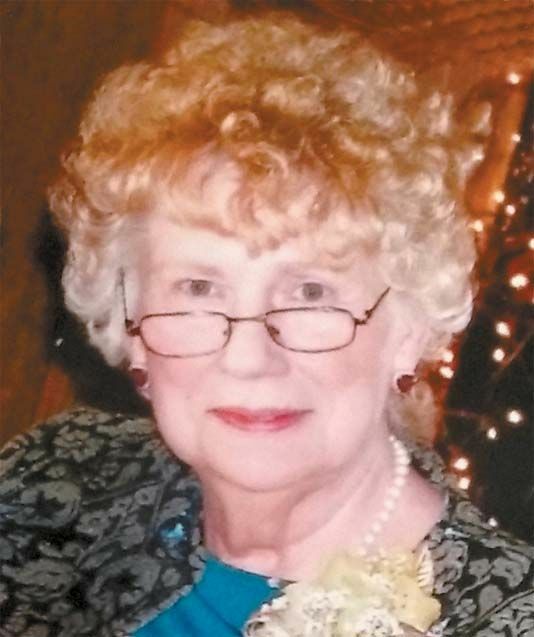 She served the Cheyenne and Roger Mills County communities for many years as a pharmacist at Cheyenne Drug until retiring in 2006. Patti and Don lived for more than 30 years in Cheyenne, Oklahoma before eventually moving to their current ranch located near Durham in 1992. Patti was an enthusiastic and competitive bridge player and expressed her love for poetry often as part of the Second Sunday Poetry Group. Patti was a longtime member of the Cheyenne United Methodist Church and served for many years on the Board of the Metcalfe Museum. She was preceded in death by her parents and a brother, Russell Dobson. She is survived by her husband, Donald A. Moorman, of the home; her children, Melisa Moorman of Durham, OK, Donald C. “Craig” Moorman and wife, Sandie, of Leedey, OK, Anita Marie Moorman of Louisville, KY; four grandchildren, Miranda Moorman of Washington, D.C., Mason Moorman of Stillwater, OK, Oscar Holloway of Weatherford, OK, Hannah Holloway and fiancé’, Chad Fox, of Durham, OK; a great grandson, Cody Fox, and a host of other relatives and friends. Funeral services will be Friday, July 29, 2016 at the Cheyenne United Methodist Church at 10:30 A.M. Burial will be at the Cheyenne Cemetery under the direction of Rose Chapel Funeral Service. Condolences can be made online at www.whineryfs.com. Dan’s Cow-Calf Corner Are replacement heifers ready for the fall breeding season?